Very variable. 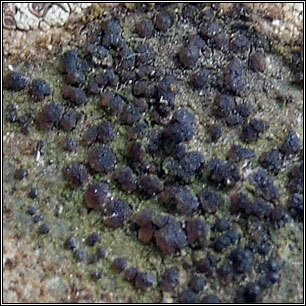 Thallus thin and smooth to cracked-areolate, grey, greenish or grey-black, often with black prothallus. 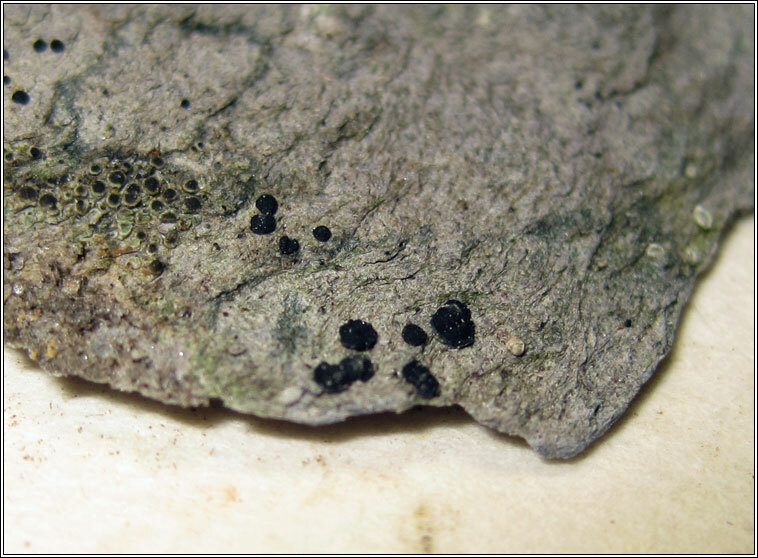 Apothecia are flat or +/- convex, black with thin margins sometimes paler than discs. 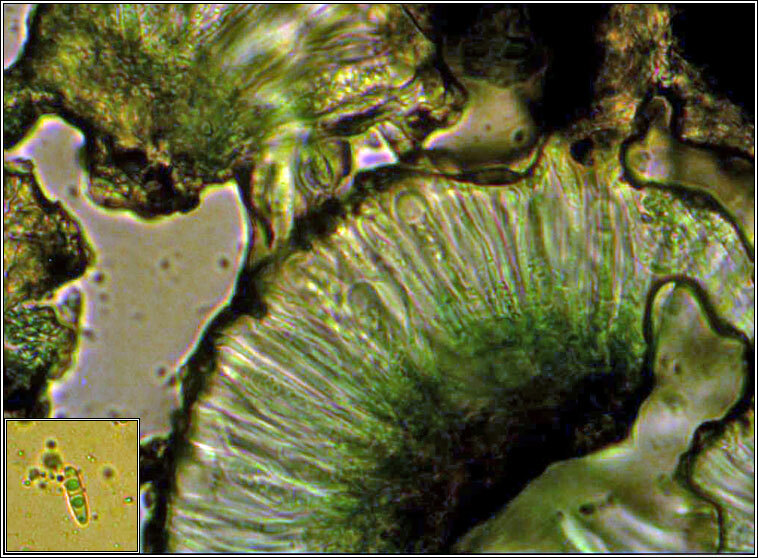 Asci usually 8-spored, spores 1-septate, 8-12 x 3-5 µm. Paraphyses with dark, swollen tips. 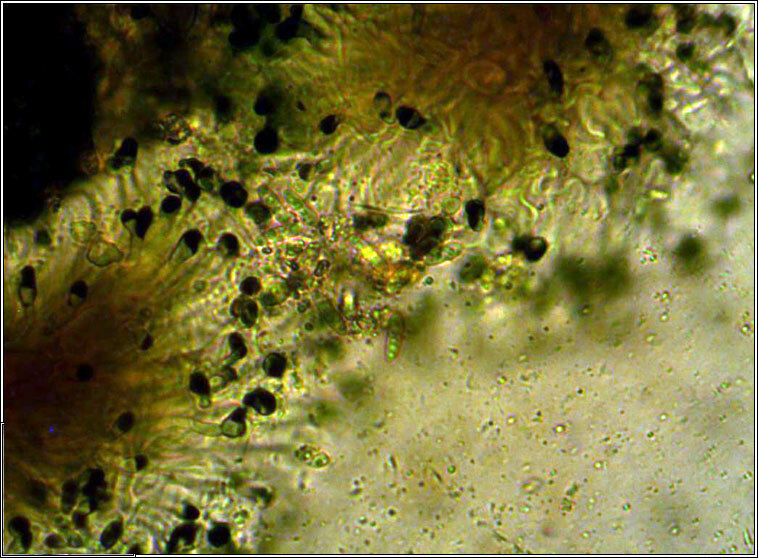 Microscope photos below. 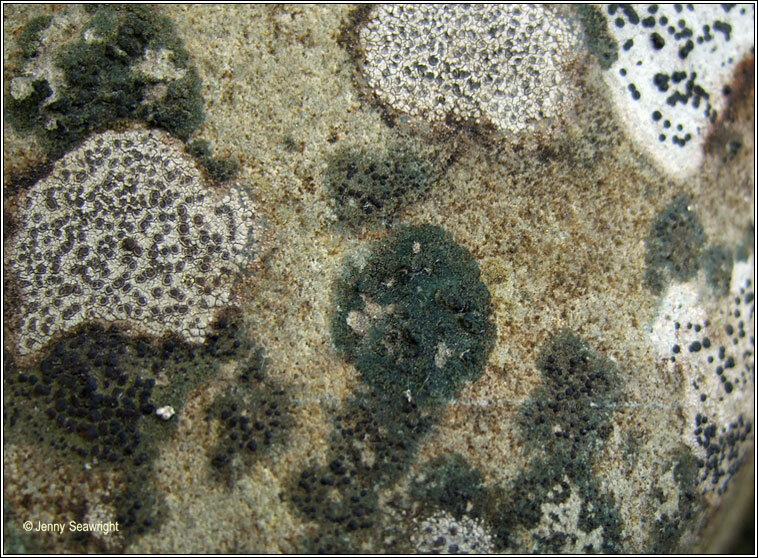 Common on nutrient-enriched siliceous rocks and walls. Occasional on timber and tree trunks. C. chalybeia var. 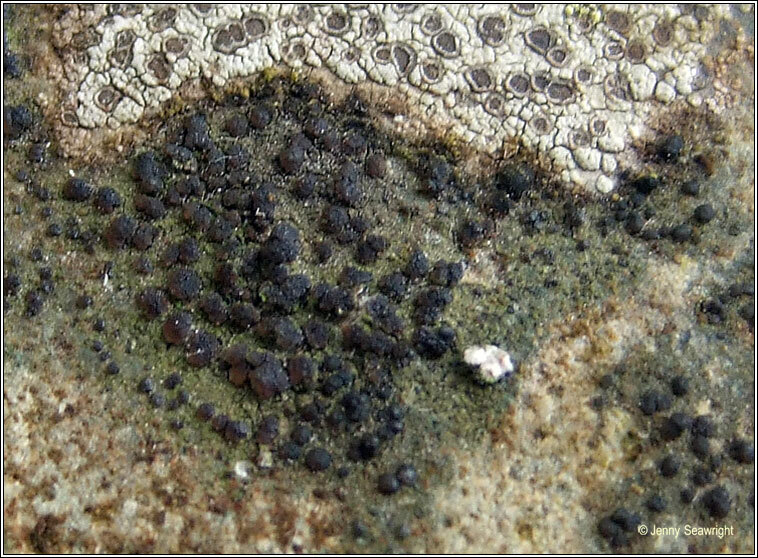 chloropoliza has paler grey to dark-brown apothecia, hymenium without green pigment. Scarce, schistose rocks in or by rivers and lakes, Connemara and N Ireland.